Former Manchester United manager Sir Matt Busby’s famous quote could not be anymore relevant to Leon “Chippy” Bailey, the 18-year-old Jamaican wonderkid who everyone in Belgium is waxing lyrical over. 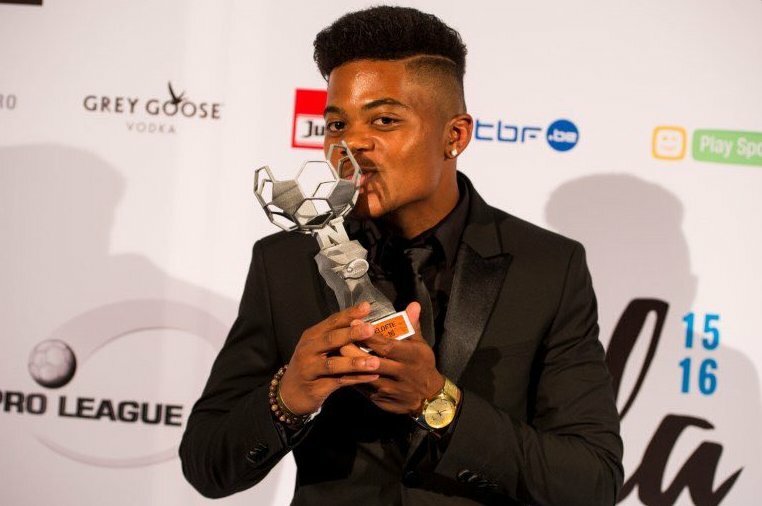 A fortnight ago, Bailey picked up the Belgian Pro League’s Young Player of the Year award – star names such as Vincent Kompany, Axel Witsel and Youri Tielemans are just some of the past winners – after only one season with the Genk first-team. Indeed, he has come a long way in a relatively short period of time. Growing up in the tough neighbourhood of Cassava Piece in Jamaica’s capital Kingston, Bailey had a humble upbringing. His natural footballing ability was obvious from a young age and he honed his skills at the Phoenix All Stars Football Academy, owned by his adoptive father and agent Craig Butler. The Phoenix Academy aims to recruit young, up-and-coming Caribbean players and offload them to European clubs, usually within the lower leagues. Butler has come under scrutiny in the past, though, as not everybody believes his methods of getting players into Europe are totally legitimate. In 2013, it was reported in the news that Bailey and his agent had been based in Belgium illegally, possessing invalid visas. The Labour Ministry apparently carried out a raid with the pair gone and out of sight. It is believed that Bailey now holds a valid visa. In his early teenage years, the left-footed Bailey spent time at Ajax – learning the traditional Dutch approach to football – before moving to Genk with his brother, Kyle Butler, who’s also a product of the Phoenix Academy and set to train with Genk’s first-team this summer. Barely a fully grown teenager, Bailey was in a unique position: experiencing an entirely new, different environment away from his native Jamaica. He represented the club’s youth teams and consistently impressed with his all-action performances out wide. Sandwiched in between his rise from youth team to seniors, he played for defending Slovakian champions AS Trenčín. 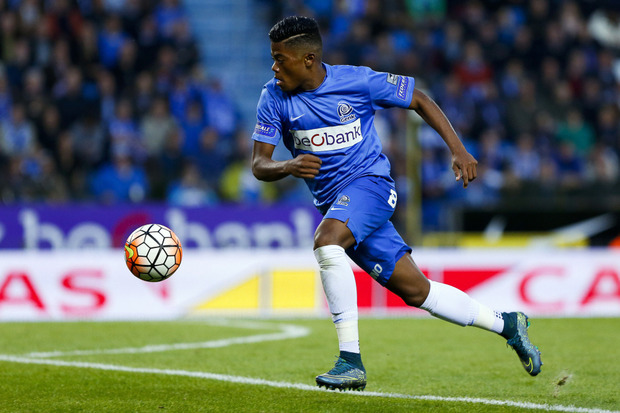 In early August last year, Bailey officially put pen to paper with Genk’s seniors, signing on for three years with an added year in the club’s favour. This was the culmination of the player’s hard work and application from his days at the Phoenix Academy right through to time spent across Europe. Skip forward just over a week and he made his debut in a 3-1 defeat away to Sint-Truiden, coming on as a 62nd minute substitute. In September head coach Peter Maes gave him his first start in a home game against KV Mechelen. Three months later he scored his first professional goal against OH Leuven. Any doubts over Bailey’s ability to adapt were increasingly being swept away. He went onto be a regular in the starting Xl, finishing his debut season with six goals and nine assists. Maes’ side earned fourth place in the league play-offs and will compete in 2016/17 Europa League second round qualifying. A diminutive, explosive winger who can also play in behind the frontman, Chippy boasts an impressive set of qualities. He is deadly one-on-one – blisteringly quick and highly skillful, very few Belgian Pro League full-backs are able to deal with him. He possesses excellent vision, playing with his head up and on the lookout for that killer pass to unlock the defence. He can take a mean long-range shot as demonstrated against Anderlecht last month. Bailey plays with a refreshing freedom and swagger – almost mirroring a care-free child in the playground whose only thought is to pick up the ball, turn and drive forward. Renowned Belgian football journalist, John Chapman, called him “the revelation of the Belgian Pro League last season” and that he “looks like a real player“. Sure, he’s not the complete package and you wouldn’t expect that at such a tender age. There are defensive areas to his game which can be improved on but that will surely come with time. He comes across as very hungry and hard working: dedicated to being the best he can be. It’s sometimes easy to over-exaggerate the potential of young players; there are countless examples of those who have fallen by the wayside as a consequence. However, there is seemingly something special about Bailey. The way in which he’s stamped his mark on Belgian football with such confidence and swagger shouldn’t go unnoticed. So, is he on Jamaica’s radar? The answer to that question is yes. Reggae Boyz boss Winfried Schafer is apparently an admirer and tried to offer Bailey a senior call-up, however, the reports are that he and his agent rejected the call-up. Mr Butler has said that no call-up will be accepted until he has sat down with JFF officials and gone over the long-term vision and direction of the national programme. Bailey has only represented Jamaica at U-23 level, scoring directly from a free-kick against the Cayman Islands in March last year. He quite frequently posts content on social media relating to his love for Jamaica and how proud he is to be born there. Evidently, though, from Bailey’s quotes you can tell there is a sense of resentment directed towards the JFF. Perhaps they have ignored him in the past and now it’s a case of too little, too late. Without question he would add a lot of individual quality and prowess to Jamaica’s attack. There are a growing number of Jamaican supporters who are urging the JFF to resolve any differences and ensure Bailey is included in future squads. It would be a real shame, in my opinion, if he was to slip away and never fulfill his potential with the Reggae Boyz. We’ll see what the future holds on that front. Thank you for reading! Feel free to leave any constructive feedback in the comments box below. Meanwhile, you can get in touch with me on Twitter, Facebook and Instagram.